Our guide to Tulsa will help you find the best budget hotels in Tulsa Oklahoma. The earliest settlers to the area were the Ozark Bluff Dwellers. In 1836, the Creek Indians arrived via the Trail of Tears. It wasn't until the discovery of oil in the early 1900's, however, that Tulsa really began to develop. By the 1920's, Tulsa was a boomtown, dubbed by many as the "Oil Capital of the World." Today, business is still booming, thanks to a leading aerospace industry and a number of major corporations, including American Airlines. Tulsa also has its share of cultural attractions. Architecture buffs should check out the Art Deco façades at the Boston Building, Union Depot, and the Philtower. Art lovers can visit two fine museums—the Philbrook and the Gilcrease, the latter of which contains a copy of the Declaration of Independence. There are tons of great budget hotels in the city of Tulsa, our city guide will help you find the best budget hotels. You may have a hard time deciding what to do in Tulsa, but we make your decision easy. 10008 E 73rd St, (918) 294-9000 - Candlewood Suites is a budget hotel / motel / resort located in Tulsa OK.
1016 N Garnett Rd, (918) 438-5050 - Located off I-244 and Exit 14/ Garnett Road. 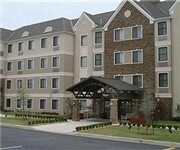 Clean affordable short and extended stay motel with free airport shuttle. 1034 N Garnett Rd, (918) 234-3535 - Country Inn & Suites is a budget hotel / motel / resort located in Tulsa OK.
11015 E 73rd St, (918) 254-1777 - SpringHill Suites Tulsa is a budget hotel / motel / resort located in Tulsa OK.
11025 E 73rd St S, (918) 250-4850 - Residence Inn Tulsa South is a budget hotel / motel / resort located in Tulsa OK.
11620 E Skelly Dr, (918) 437-9200 - Econo Lodge Airport is a budget hotel / motel / resort located in Tulsa OK.
16518 E Admiral Pl, (918) 234-9100 - Microtel Inn is a budget hotel / motel / resort located in Tulsa OK.
18725 E Admiral Pl, (877) 863-4780 - Holiday Inn Express Hotel & Suites Tulsa-Catoosa is a budget hotel / motel / resort located in Tulsa OK.
222 N Garnett Rd, (918) 438-0780 - Best Western Airport is a budget hotel / motel / resort located in Tulsa OK.
23 N 67th E Ave, (918) 949-3600 - La Quinta Inn and Suites Tulsa Airport is a budget hotel / motel / resort located in Tulsa OK.
2316 W Cameron St, (877) 863-4780 - The Holiday Inn Express Hotel & Suites Tulsa-Downtown is located only 2 minutes west of downtown Tulsa. 3141 E Skelly Dr, (918) 749-5561 - Best Western Trade Winds Central Inn is a budget hotel / motel / resort located in Tulsa OK.
3141 S 79th E Ave, (918) 664-9494 - Extended Stay America is a budget hotel / motel / resort located in Tulsa OK.
3209 S 79th E Ave, (918) 663-1000 - Hampton Inn Tulsa is a budget hotel / motel / resort located in Tulsa OK.
3212 S 79th E Ave, (918) 858-2100 - Best Western Tulsa Inn and Ste is a budget hotel / motel / resort located in Tulsa OK.
3214 S 79th E Ave, (918) 663-0000 - Fairfield Inn & Suites Tulsa Central is a budget hotel / motel / resort located in Tulsa OK.
3215 S 79th E Ave, (877) 863-4780 - Holiday Inn Express Tulsa (Central) is a budget hotel / motel / resort located in Tulsa OK.
3217 S 79th E Ave, (918) 624-2800 - Econo Lodge Inn and Suites is a budget hotel / motel / resort located in Tulsa OK.
4717 S Yale Ave, (918) 622-6776 - Red Roof Inn is a budget hotel / motel / resort located in Tulsa OK.
5220 E 11th St, (918) 834-3311 - Desert Hills Motel is a budget hotel / motel / resort located in Tulsa OK.
5609 W Skelly Dr, (918) 446-6137 - Economy Inn is a budget hotel / motel / resort located in Tulsa OK.
6616 E Archer St, (918) 836-1981 - The Super 8 at Tulsa Airport is located only three miles from Bells Amusement Park and Big Splash Water Park and five miles from downtown. 11111 E 73rd St S, (888) 897-0084 - Staybridge Suites Tulsa-Woodland Hills is a budget located in Tulsa OK.
616 W 7th St, (918) 587-8000 - Doubletree-Downtown is a budget located in Tulsa OK. There are plenty more budget hotels in Tulsa. 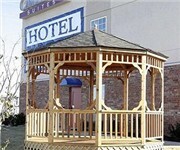 See all budget hotels in Tulsa Oklahoma.